This renovation of two buildings, end to end, constructed in 1888 and 1918, of heavy timber and masonry construction formerly housed a hardware store and warehouse for much of the 20th century. GDA developed a new circulation core for the building's new restaurant, night club, banquette space, and offices. 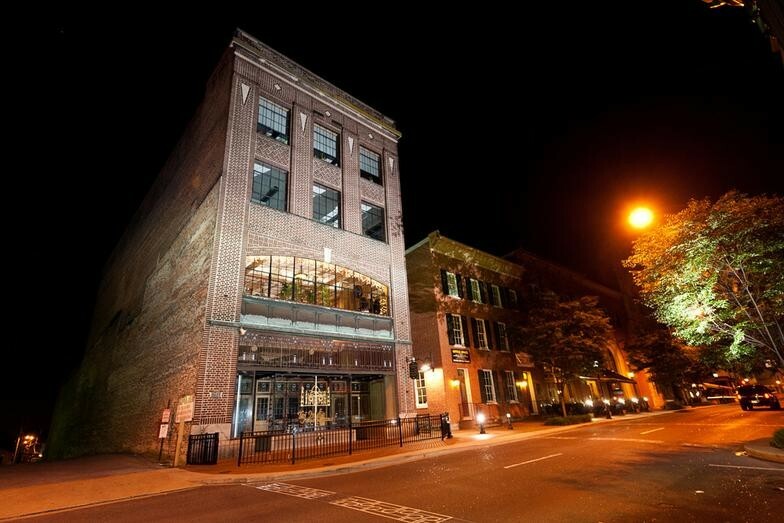 GDA prepared tax credit documents working with the Maryland State Historic Preservation Office and then construction documents for the adaptive reuse of 29,200 sf. GDA researched the original configuration of windows and storefront awning.